We Have You Covered for ANY PLUMBING NEED! Drain clogs, Sewer Back-Ups, Pipe Leaks, Toilets and Tubs, Water Heaters, & More--Call for help NOW! Don't Just Call A Plumber. Call an Expert! Our Snohomish County communities are special to us, and we want you to know the Lake Stevens Plumber you can trust. When things aren't quite right with your plumbing system, there is plenty that Plumbing Experts NW can offer to help you and your home. We want to offer you fast, quality service, but also affordable plumbing Lake Stevens WA customers can rest easy using. We aim to gain your recommendation to friends & family. NO MATTER WHEN you call on Plumbing Experts NW, we come to your rescue to help fix issues quickly and with ultimate care. No matter the size of the issue, we work with the same professional approach. Helpful folks from the office staff to the plumbers that come to you---we all aim to help you get past your drain clogs, sewer backups, pipe leaks, water pipe breaks, and other plumbing problems. You get a complete diagnosis and then clearer communication on the options for what can be done. This is how we have become one of the most effective and affordable plumbers Lake Stevens WA has to offer. 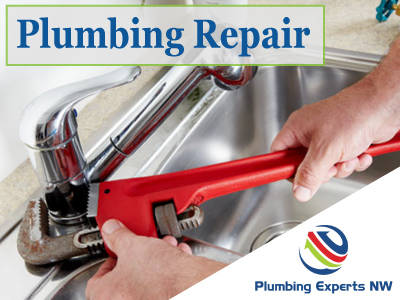 It's affordable plumbing repair and expertise that you want----you don't want a "cheap plumber"---there's a difference in getting a quality fix. We do right by our plumbing customers and our many reviews and repeat customers demonstrate that. You can see for yourself by sending us a completed contact form below, OR by giving us a call today at 425-948-7705. Our way of working is why Plumbing Experts NW is becoming known as the plumber Lake Stevens can depend on to deliver expert diagnosis and professional service. That's why we say, "Don't Just Call A Plumber. Call An Expert!" Reviews of an Affordable Plumber Lake Stevens Uses & Recommends! Any Lake Stevens -area plumbing problem is within our scope: Toilets, tubs, garbage disposers, water pressure & more! We know water heaters and can diagnose any issue, plus we provide new installations and even tankless options! Got a Drain Clog in Lake Stevens, we clear it whether in your fixture or main drain line. Sewer line problems are difficult to diagnose a times. We clear sewer lines, and we do sewer repair in Lake Stevens.